When you stay at Hilton Toronto/Markham Suites Conference Centre & Spa in Markham, you'll be connected to the convention center, within a 15-minute drive of Fairview Mall and Seneca College. This 4-star hotel is 12.1 mi (19.5 km) from Ontario Science Centre and 12.6 mi (20.2 km) from Toronto Zoo. Featured amenities include complimentary wired Internet access, a 24-hour business center, and limo/town car service. Event facilities at this hotel consist of a conference center and a meeting room. Free self parking is available onsite. lastminute.com has a fantastic range of hotels in Markham, with everything from cheap hotels to luxurious five star accommodation available. 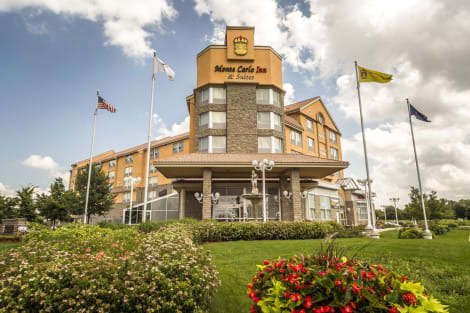 We like to live up to our last minute name so remember you can book any one of our excellent Markham hotels up until midnight and stay the same night.